unified intention will contribute to peace and clarity in a world so filled with turbulence and confusion. Together, Pippa, Clare and Richard will hold the group field for 35-45 minutes at each of those times. Please join us if you can, in whatever way you are able – even a few minutes from the seat of your car or your office will add to the whole. Be mindful that as each of us gives our attention to this peace initiative, the energies will amplify and deepen, radiating throughout the day towards those places where they are needed the most. Let thoughts drift gently away as your attention turns towards the divine stillness beneath the surface, like the body of the ocean beneath the waves. Feel as the divine light of Metatron’s presence flows towards you, holding you in its rich warm field. 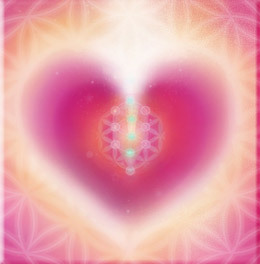 Allow yourself to soften, dropping gently into the force-field of divine love. Notice the soft, shimmering brilliance of the light as it drops through your crown and fills your chakric column, dissolving anxiety, fear, confusion. Receive the light through your palms. Receive it through the soles of your feet. Feel as the incoming streams of light merge within your spiritual heart, streaming through all the cells of your body and your auric field. You are a radiant column of living light. Watch as the light flows out from your heart centre to bathe the Earth. Feel as the power of your intention for peace, harmony, abundance and joy for all reaches out to unite with the power of the angelic kingdom. Feel the joy of union and communion as all sentient beings are drawn towards the still, throbbing creativity of this divine field, bathing in the joyful stillness of its peace. May each of us remember who we truly are. May we remember union. Thank you for joining us and being an integral part of this event.